Travelling abroad can throw up difficulties for most people, but for those with mental health needs the experience can prove particularly challenging. New figures show that the number of Britons with mental health issues who are requesting help from the Foreign & Commonwealth Office (FCO) while abroad has rocketed by 48% since 2009. 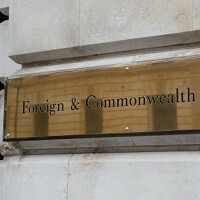 But now the FCO has linked up with the Mental Health Foundation in a bid to address the issue. They are providing a list of useful tips on how to avoid problems while abroad, and how the FCO can help Britons should they encounter problems. They say that while needs vary from individual to individual, there are things travellers can do to cut their risk of experiencing difficulties on their travels. Holidaymakers are urged to purchase a good travel insurance policy before they head overseas and to make sure that it covers any pre-existing mental health conditions. As well as their travel insurance, those travelling within the European Economic Area should also make sure they have a valid European Health Insurance Card with them. Travellers who take medication for their condition, meanwhile, should make sure that it is available and legal in the countries they are visiting. If it is not available, they should ensure they have enough to last them for the duration of their holiday and a bit extra to cover any unforeseen travel delays. Before travelling, the FCO and Mental Health Foundation say, people should think about who they would want to get in touch with back home should their mental health worsen, and make sure they can contact them in an emergency. Travellers should also research their destination, paying particular attention to details about what mental health services are on offer, as well as any specific FCO travel advice. FCO consular social work advisor Georgina Hollingsworth says efforts have been made to ensure staff better understand common mental health needs, and recognise their symptoms and signs. But she says it is also important that people follow the advice to help make sure their travels are enjoyable and hassle-free.